Where can you find premium discount men’s dress shirts from the finest designers? We are an online specialty retailer of Italian made premium fashions. We feature a wide selection of Brioni dress shirts in superfine cotton and linen and smooth and colorful silks. If you prefer something a bit more playful, our Isaia dress shirts are available in vivid prints and plaids in a range of materials like cotton, linen, flannel, and denim. Soft cool blues and greys abound in our collection of Barba shirts in striped cotton and linen, while Canali keeps it classic with trim fit dress shirts in crisp white cotton. The Kiton shirt elevates tailoring to an art form. 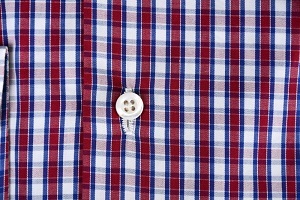 The subtle checks, solids, and plaids in these superfine cotton Oxfords complete any wardrobe. Intrigued? Well, those are just some of the discount men’s dress shirts that we have in stock at Luxury Menswear. We know men’s fashion. When we start to think about it, we realize that it just might be our obsession. We have been in the menswear business for over 20 years. During that time, we made some great connections with brokers in Italy and in other countries in Europe. These brokers are fashion insiders and they know quite a few retailers and designers that supply them with showroom samples, overstock, canceled and unpaid orders, and end of season items. Luxury Menswear purchases these items and that is why our stock is so incredible (and it is updated weekly). Why should you shop for discount men’s dress shirts at Luxury Menswear? Well, we want you to take advantage of our obsession and our reasonable prices. We understand that shopping for the right pieces to add to your wardrobe can be an art form. It takes time to find the best high quality shirts and pants that not only complement your style but your personality, too. That is why we strive to provide an incomparable selection while creating the most streamlined and pleasant shopping experience. Unlike other men’s fashion websites, at Luxury Menswear we make it very simple for you to find the correct fit for that tailored look because we provide detailed measurements and plenty of photographs. What’s more, we are available anytime online, so you can shop with us whenever it is convenient for you. That means that you can avoid having to search in multiple places for the best quality clothing. We have everything you need all in one place and all easily accessible anytime, anywhere. Why don’t you check out our website? Seriously, you really should. We care about menswear and we want you to find the clothes that are just right for you and your bank account. More importantly, you really must see exactly what we have in our clothing collection. There is more here than just dress shirts. Whether you are looking for tuxedos, dress pants, outerwear, sports coats, or accessories, we have them and so much more. Everything available on our web store is designer brand, and we feature only the best ones including Kiton, Isaia, Brunello Cucinelli, Attolini, Belvest, Boglioli, Ermenegildo Zegna, Etro, Max Verre, Brioni, and, well, there is really too many to list. The best way to find out what we have in stock is to visit us online at LuxuryMenswear.com. We are pretty sure that we have the fine fashion that you have been searching for, and when you shop with us you won’t want to shop anywhere else.